I’ve been making jewelry for a while now. It’s crazy sometimes when I look at pieces that once intimidated me – and they now seem easy. So easy that a kid could do it. 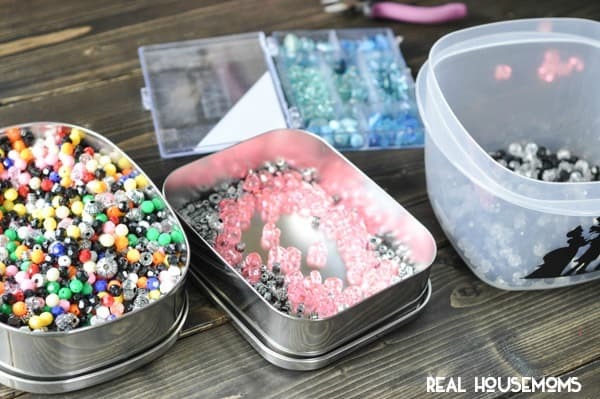 My girls are often just two or three feet behind me whenever I’m getting creative, and so when we started talking about jewelry-making together, I thought back to the memory wire bracelet. Memory wire is extremely forgiving. 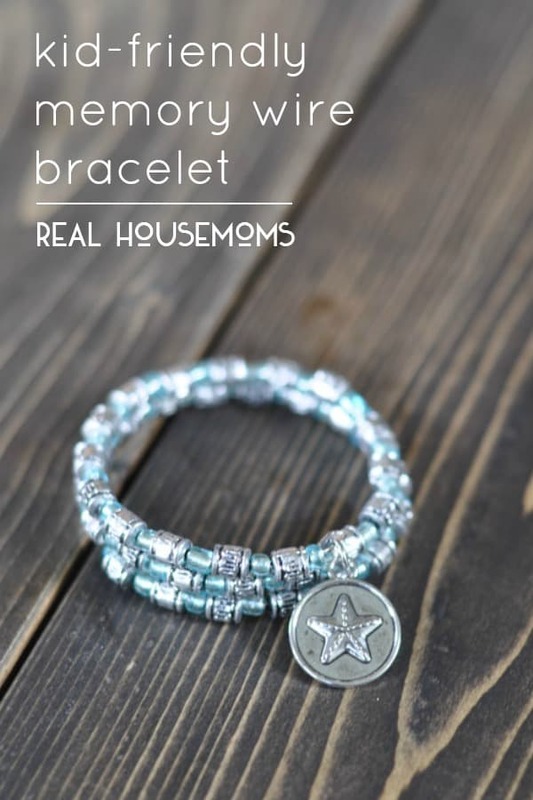 It is flexible and will fit nearly any wrist – young or old. That’s the “memory” part of it. It will remember the shape that it needs to be to fit its owner. I gathered a variety of beads for the girls to choose from. I had a selection of pony beads in various colours, as well as some smaller silver and clear beads. 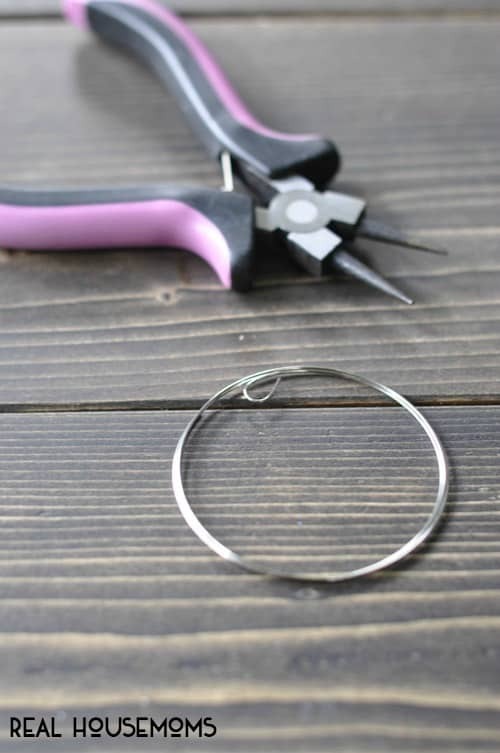 Using my round nosed pliers, I created a little loop as a “lock” at the end of the wire. After that, it’s as simple as sliding beads onto the wire in whatever pattern you choose. While my eldest was very precise with her pattern. 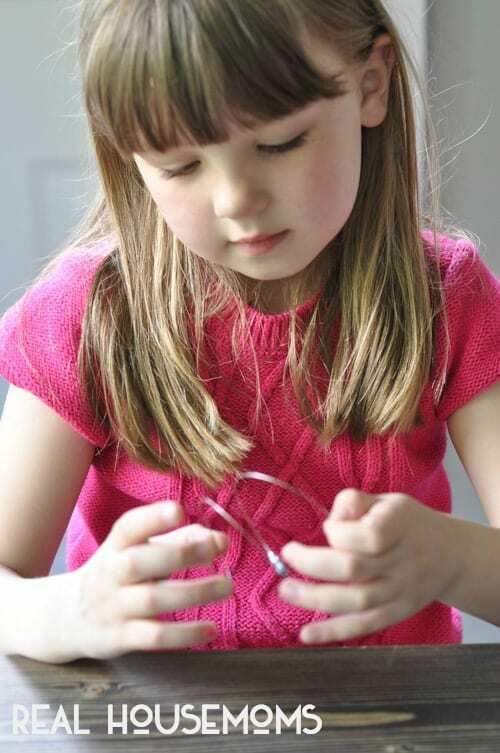 After Lila had doted over her bracelet, I used the round-nosed pliers to create a loop – thus ending the bracelet, and providing a stopper for the beads (just as I had at the beginning of the bracelet). 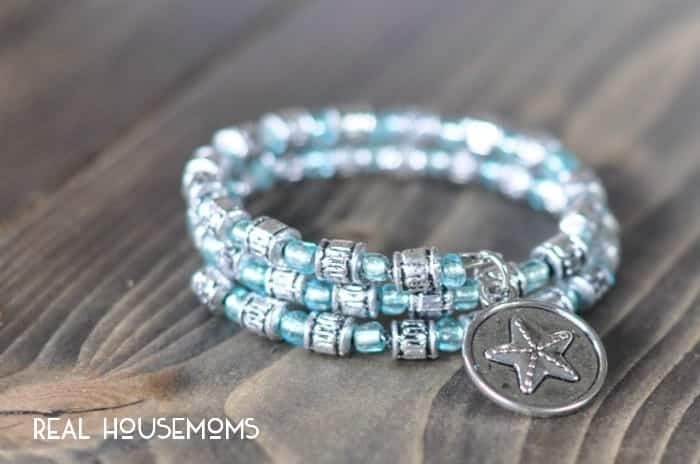 I found a little sea star charm in my box of beads and added it to the bracelet with a silver jump ring. It was the perfect way to add a bit of flair to her perfect pattern. 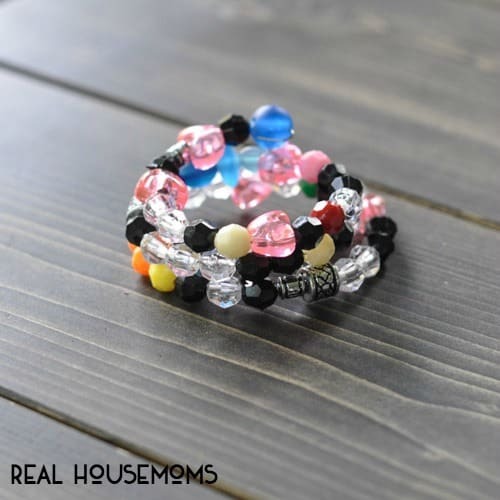 The memory wire bracelet is great for the jewelry novices and kidlets in your life. It’s a great way to learn about patterns and style, and can be a thoughtful gift for friends and family. Tara is the voice behind Suburble, a blog about life in the 'burbs and the adventures that come along with it. She loves crafting, cooking, hot mugs of tea, and funny people. I was wondering where you found child-sized memory wire. All that I can find is for adults.